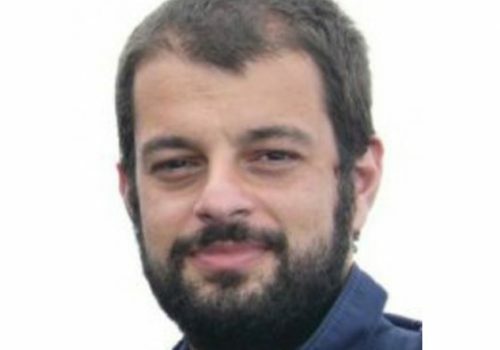 Euripides Kantzas obtained his BA in Environmental Studies and a MRes in Remote Sensing assimilating satellite data in a radiative transfer model estimating the optical properties of airborne Sahara dust over the Mediterranean Sea. His PhD was in ground based spectroscopy of volcanic plumes, creating software used in volcanic observatories worldwide which can measure emitted SO2 concentrations using state of the art technology like UV digital cameras. Since then he has been working on the global carbon cycle using Dynamic Vegetation Models (DVMs) to simulate carbon and water fluxes over vegetation. He has worked extensively on assimilating Earth Observation products of burned area in DVMs to improve their behaviour and obtain accurate representation of the fire regime. Additionally, he has focused on the boreal latitudes evaluating permafrost simulations and optimizing model fluxes over the boreal forests using flux tower data. In LC3M, he will be developing a new version of the Sheffield Dynamic Global Vegetation Model (SDGVM) by incorporating crop functional types using global data sets of fertilizer application and irrigation as drivers. He is comparing simulated crop productivity against global data sets and optimizing model parameters against flux tower data to improve accuracy and reduce model uncertainty. The updated version of SDGVM will be coupled to a weathering model to evaluate at regional and global scales the effects of enhanced weathering on crop production and soil biochemistry.